In a country with so many religions, cultures, and tribes, it is impossible for anyone to like everything. The communities follow the footprints of their forefathers and practice the old age traditions which seem idiotic to others. These mystical rituals are a part of their religion or people perform these customs to keep their civilization alive. A video is making rounds on social media in which a man can be seen rotating with a daig – a large silver or brass pot usually used for cooking food over an open fire in a large quantity. The man mumbled some sacred words while raising his hands for prayers, he then held the pot which was covered with a red cloth embellished with gota round it and started taking rounds. When he was moving in a circulation movement with the daig, the people around him who seems his family members were reciting ‘Tera Naam Khawaja Mohiuddin, Tu Rasool Paak (SAWW) Ki Aal Hai’ which is a famous naat by Owais Raza Qadri. As soon as the guy completed eight to ten rounds, someone from the family stopped him and he sat on the floor all of a sudden. This is not the first time that such sort of video surfaced on the internet, we have been seen numerous mystical rituals which people perform without any logic. Here We Have Compiled A Few Of Rituals People Practice In Pakistan! 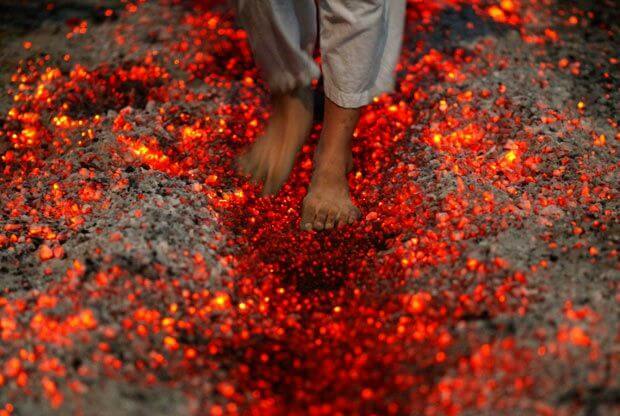 It is a common festival in some South Asian countries where people walk on burning embers or stones. To ward off evil spirits and to purify the souls, this ritual is performed. In Pakistan and India, Shias usually follow this practice to mourn the progeny of Holy Prophet (PBUH). We all know about the influence of Sufism in subcontinent Asia. A huge number of saints came to the region to spread Islam and buried there. People gather at their shrines every year to pay honor to them. But on these shrines, people not only just pray, but they are also committing some unethical activities. A shrine in Gujranwala caught the attention of people where unlike other holy places, a basket of cigarettes places for the devotees. 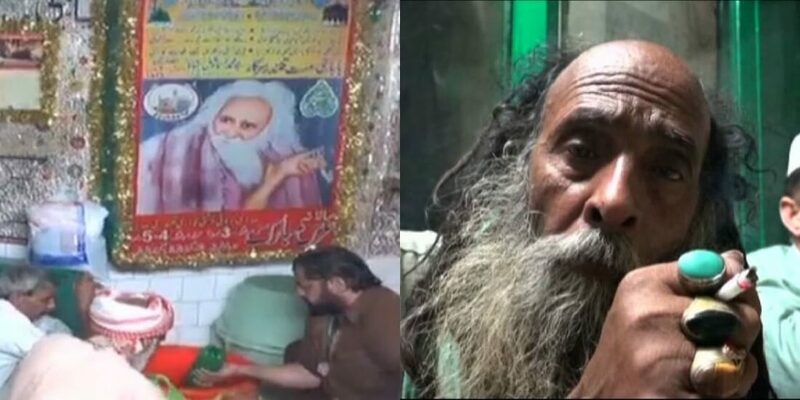 Talking to a media correspondent, a devotee of the Baba Ismail’s shrine in Gujranwala, Punjab told that people are getting ‘Shifa’ from these cigarettes. Sharing the history of this practice, another devotee told that the saint himself used to smoke a lot that’s why they are following him. On the throbbing beat of dhol drums, people twirl and swirl, pound-feet, shake heads and do everything to reach the state of unconsciousness. 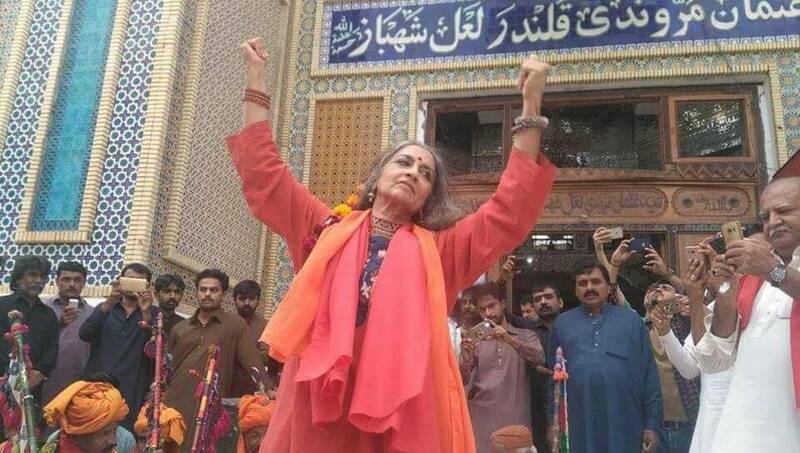 They dance without being aware of the surroundings, it is a common practice in Sufism and the shrine where it is practiced with great zeal is Lal Shahbaz Qalandar’s in Sehwan, Sindh. These rituals seem illogical or absurd to others but those who are practicing them found it a compulsory thing as a part of any specific community. When we talk about the significance of these rituals in Islam, we see a quite different perspective. Islamic scholars condemn these rituals and named them as ‘biddah’. Verily, Allah knows the best!